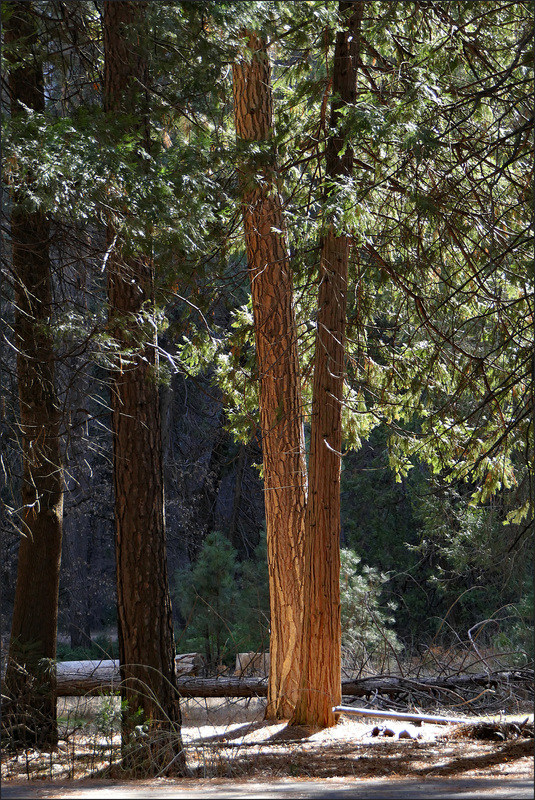 Here’s a lover’s pair of redwood trees near the Ahwanee Hotel, highlighted in the warmth of the early morning sun. Happy Valentine’s Day! UPDATE: Look, these trees are made of wood and they look kind of reddish in the sunlight. So, they’re redwoods, right? I guess not. Luckily, Marian took a ranger tour of Yosemite’s trees on Thursday, and the ranger identified the left-hand tree as a ponderosa pine and the right-hand tree as an incense cedar. If you got both trees right, treat yourself to some ice cream!